ST. GEORGE – A 31-year-old man was cited earlier this month for multiple counts of disorderly conduct, allegedly making lewd comments and gestures toward teenage girls as they walked to and from high school on multiple occasions this year. The St. George Police Department reported in March that an unidentified white man in his late 20s to early 30s driving a white pickup truck was stopping by girls leaving the Pine View High School campus. He got out of his truck and engaged in catcalling and making lewd gestures toward the students. This occurred at least twice, with the students involved reported the incident to School Resource Office Lynn Koester. “It alerted them, frightened them, made them very nervous about what was being said,” Koester said Friday as he described the original incidents. Due to a lack of information at the time, the police were unable to do a thorough follow-up of the incident. School let out for summer soon after and nothing new was reported until the new school year began. Additional incidents occurred in September and November involving the same student. However, in early December she recognized the man’s truck in the area of the high school and she and her family followed it. They called Koester who was able to have police officers make contact with the man. Koester also arrived at the scene and spoke with the man later identified as Christopher Alder. Following a formal interview at the police station Dec. 19, Alder was cited with four counts of disorderly conduct and released. “Incidents like this are one of the main reasons why we have officers in our schools,” St. George Police Officer Lona Trombley said. Having the officers in the schools helps to humanize them with the students, Trombley said, and provides another outlet they can go to with an issue if they don’t feel comfortable speaking to a school counselor, a teacher or even a family member. “If we didn’t have them there, they might not report things and continue to be victims without an outlet for help,” she said. Using the disorderly conduct incidents as an example, Koester said there’s no way of knowing if additional incidents may be taking place due to their going unreported. If something seems suspicious or strange, report it, Koester said. 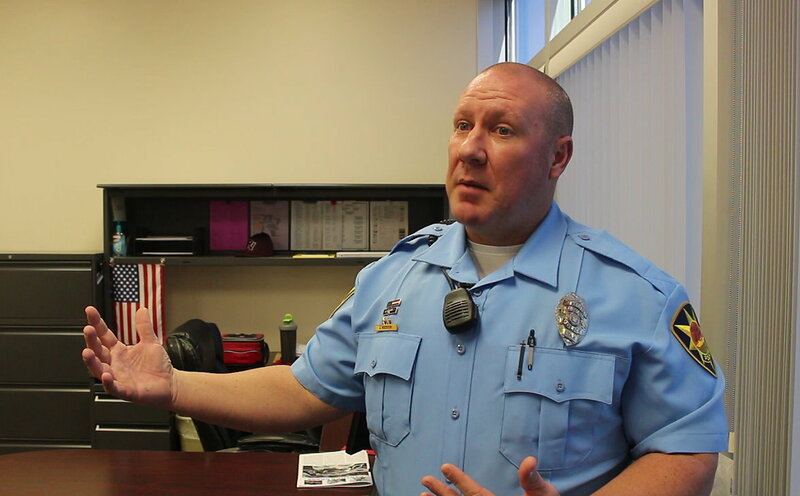 When an incident like the above or any others that appear suspicious and out-of-the-norm are occurring, Koester advises people to pay as much attention as they safely can so they can provide detailed information to police. This includes getting a description of the person or persons involved, along with their vehicles and license plate numbers if possible. “Any information is better than no information,” he said. If you think back ten years ago, or so, cell/smart phones with good cameras were not as ubiquitous, as today. Kids are in a dramatically better position to protect themselves than ever.